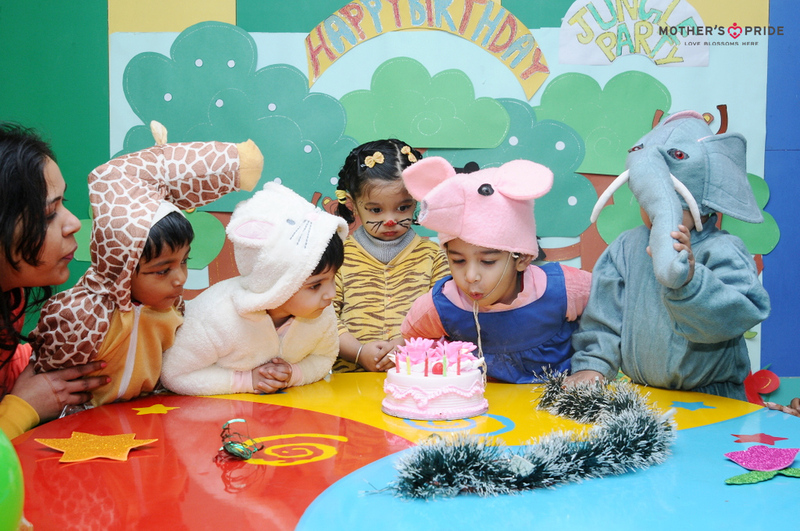 Children are fascinated by animals as they capture their imagination, make them laugh and encourage them to be curious. Animals are also easy and fun to imitate. 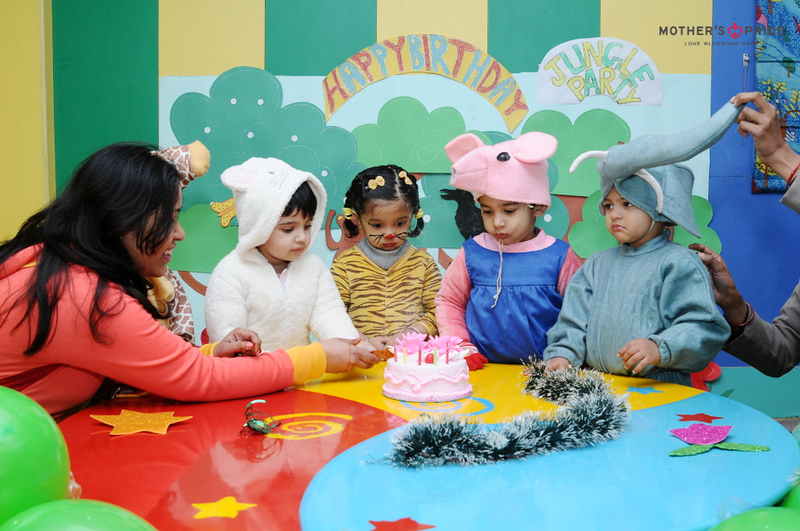 So, we at Mother’s Pride turned their love for furry friends into a fruitful learning experience by creating and celebrating an amusing Jungle Themed Birthday Party with an objective to develop listening comprehension and sound discrimination in kids. 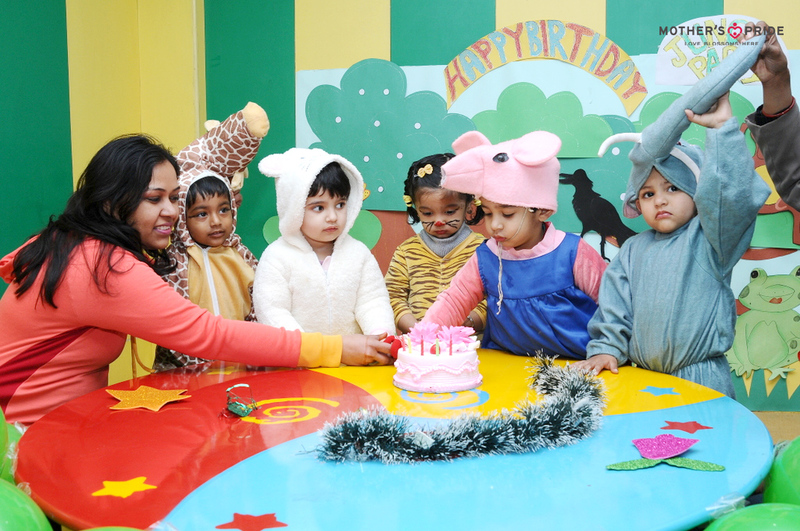 The children were enthusiastic throughout the day as they helped each other in decorating the class with colourful balloons and ribbons .They invited all their furry friends to attend the musical dance party. 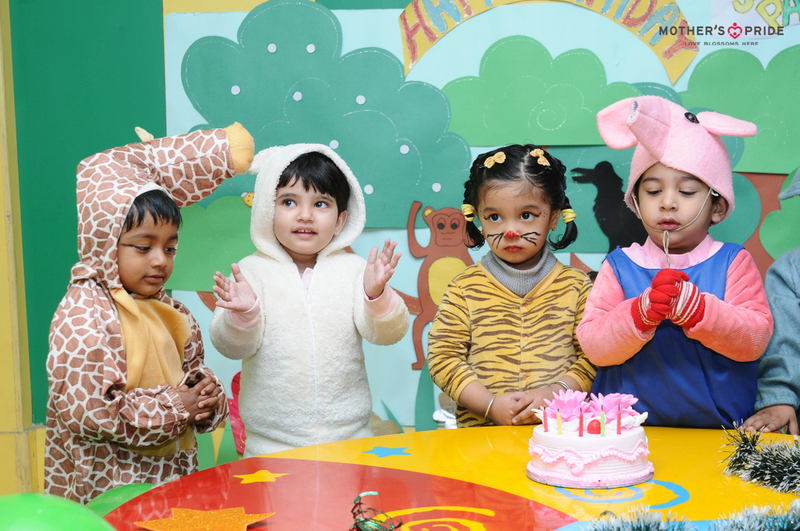 Teachers came dressed in as various animals such as the elephant, cat, pig, zebra, giraffe, etc., and introduced themselves to the class with their respective sounds. The voice modulation by the teachers added to the excitement among our Prideens. 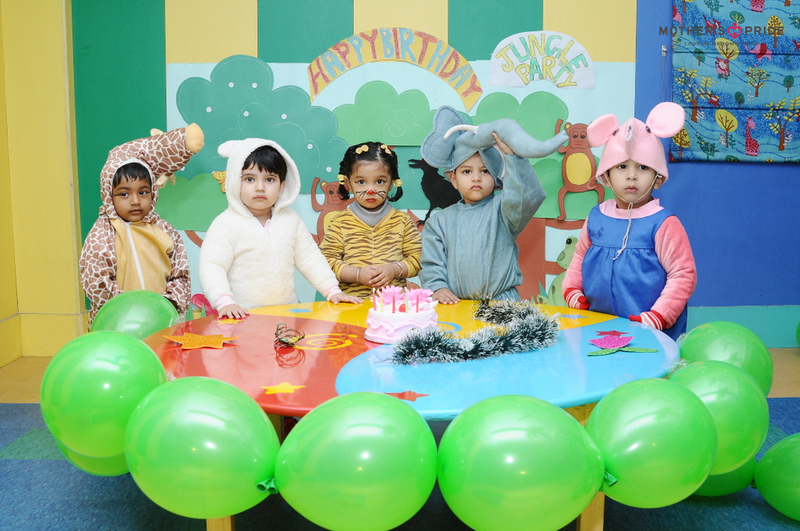 Our Prideens had loads of fun together as they met their animal friends and celebrated an amazing birthday party with music, dance and cake. They even shared their wonderful experience and stories with each other. 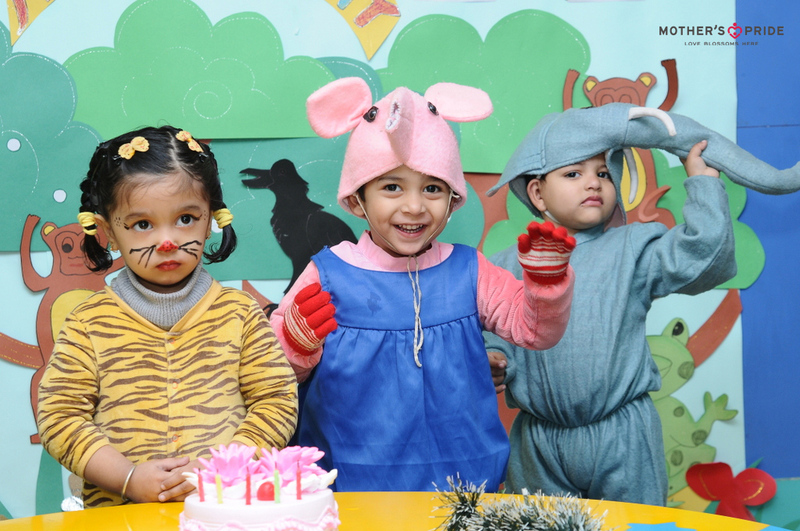 The activity helped the kids learn about different animals along with their sounds. It also enhanced their social, language and conceptual skills.